Current ambassador of the Czech Republic to Belarus, Milan Ekert, will be appointed the country’s envoy to Azerbaijan, ?TK, national public service news agency in the Czech Republic, reported citing the country’s Foreign Ministry. 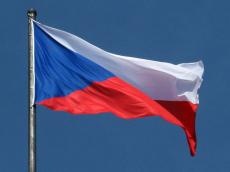 The Czech Republic will have new ambassadors in Australia, Azerbaijan and Slovenia, the Foreign Ministry has confirmed to CTK. “Current ambassador to Belarus, Milan Ekert, will move to Azerbaijan. Vitezslav Pivonka, who headed the embassy in Baku, replaced Vladimir Remek in Moscow earlier this year,” said the report. Diplomatic relations between Azerbaijan and the Czech Republic were established on January 29, 1993. Azerbaijan opened its embassy in the Czech Republic on August 15, 2007. The embassy of the Czech Republic in Azerbaijan was established on December 1, 2009.